Thinking of Opening a Corporate Vehicle Hire Account? At Green Motion we understand the need for businesses of all sizes to hire vehicles while reducing their carbon footprint. As the only carbon neutral vehicle hire company in the UK we can assure you of exactly that. We are constantly looking at new and innovative ways to make vehicle hire more environmentally friendly, if you share our passion for the environment and have a need for vehicle hire in your business then find out more below. By becoming a corporate partner with Green Motion car and van rental you have the opportunity to have a positive impact on the environment and of reducing the carbon footprint worldwide. At Green Motion we have three burning passions, car hire, the environment and customer service. These passions make Green Motion truly unique in the car rental industry and as such we can offer a wide range of lower emission vehicles including, hybrid, electric and filtered diesel vehicles. It is because of this that by becoming a Green Motion corporate partner you can rest assured that you will reduce your carbon footprint, hire a fantastic vehicle and be looked after throughout our partnership. Along with all of this you will also benefit from working with the only car rental company in the UK that has carbon neutral status, we are currently working with the Florestal Santa Maria project, helping to stop deforestation in Brazil and in turn reduce greenhouse gas emissions. We offer more traditional vehicles as well and work with a wide range of manufacturers such as, Audi, BMW, Honda and Toyota. 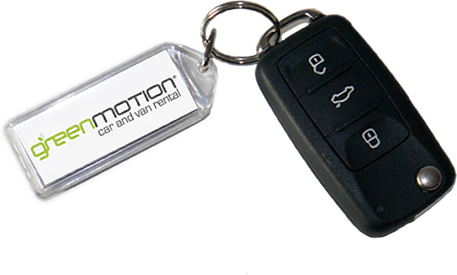 At any vehicle rental company you would expect a number of services to be provided alongside the vehicle hire, Green Motion is no different and we offer all of the services you would expect. If you share our passion for the environment and want to reduce your companies carbon footprint while working with a company who is leading the way in their sector to reducing CO2 emissions then please make an inquiry below and we will be in touch.